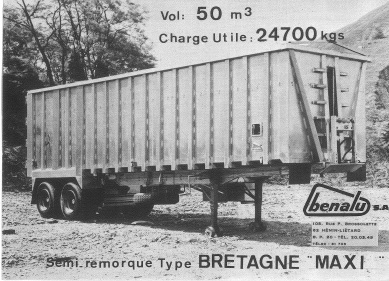 Benalu was created in 1967 by Hubert Pora and Dominique Bonduelle in order to produce aluminium tippers, a concept that they invented and developed. 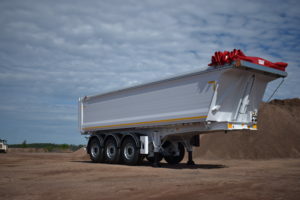 Nowadays, a subsdiary of the holding Arcole Industries (www,arcole-industries,com), with a turnover of more than 140M€, the BENALU group (companies Benalu, Bennes Marrel, Maisonneuve and Mega) is a European leader in deisgn and manufacture of industrial vehicules for bulk transport. The group has production site in Liévin (62), Andrézieux-Bouthéon (42), Cérences (50) and Nysa (Poland) and employs nearly 1200 employees. 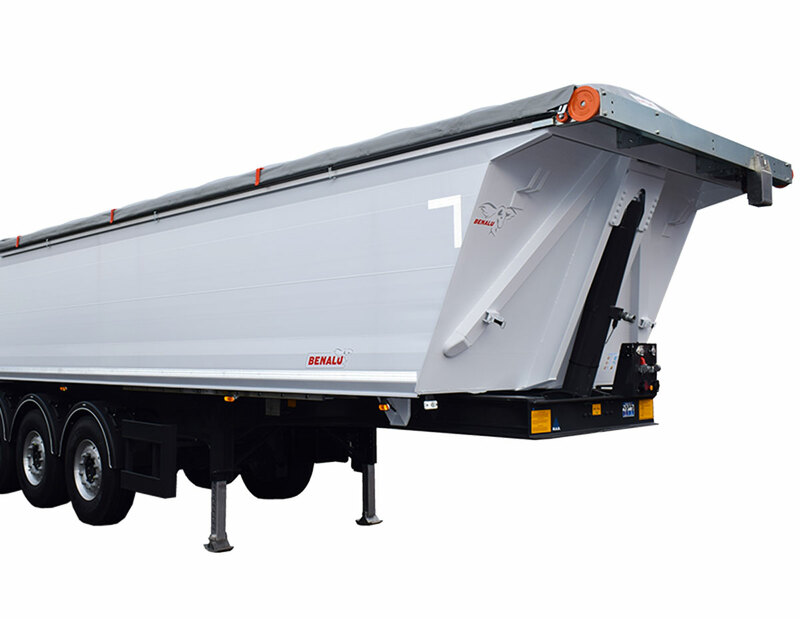 The Benalu group has a large range of “steel” and “aluminium” vehicles : Big volumes, public works, tanks, moving floor or intermodal vehicles. INNOVATION : Our role, to be leader of innovation ! A unique Thickness gradient on the market ! 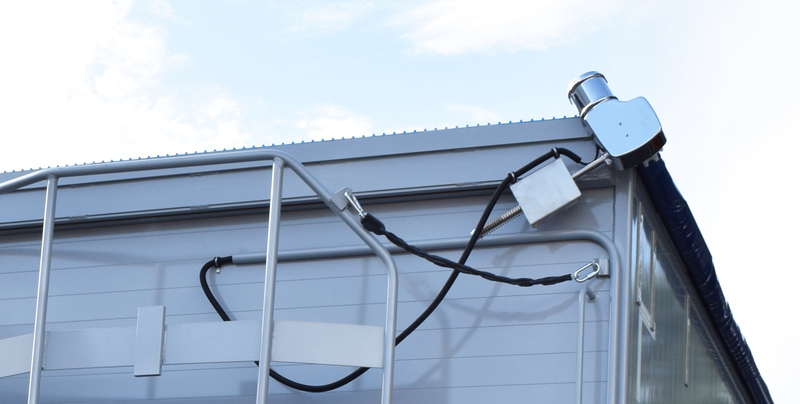 EASYTARP™, An electrical cover sheet system patented 100% automatic ! The EASYTARP™ cover sheet system gives the possibility to cover and open in few seconds with a command. Time saving, improved security and productivity are offered similarly ! An outstanding integral hybrid chassis aluminium and steel unique ! Weight optimisation and higher rigidity of our JUMBOTRACK, is our commitment towards our customers searching for reinforced vehicles without having to face with the restraints of your job. 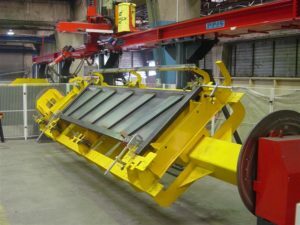 EASYTIP, The patented solution that makes the unloading of sticky material possible ! Our ultra-strong, low-tack tarpaulin allows you slide the product quickly to eliminate the risk of tipping over. Security and time saving guaranteed! 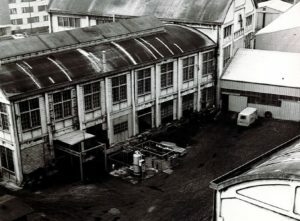 The first company in Europe to design and produce aluminium semi-trailers. Creation of the “BRETAGNE”. 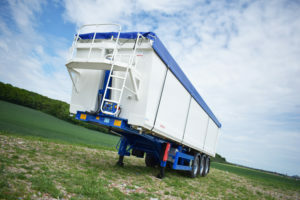 The first semi-trailer for agribusiness in full aluminium in Europe. Creation of the first silo-trailer 100% aluminium named “DIAMANT. 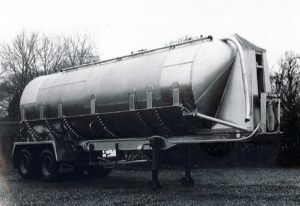 Introduction of the SIDERALE, semi-trailer for public works in aluminium with numerous patents, reference on the market. 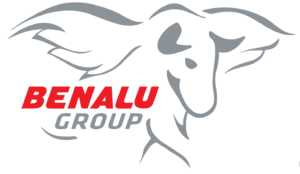 The BENALU’s group takes over the society MEGA in Poland in order to expand its business onto Eastern european countries.